Air inflatable rubber dam, a long tubular-shaped fabric, is a novel hydraulic building presented by the development of macromolecular synthetic material industry. It consists of high strength canvas as the reinforced framework and synthetic rubber, is fixed to a reinforced concrete foundation using clamping plates and anchor bolts. 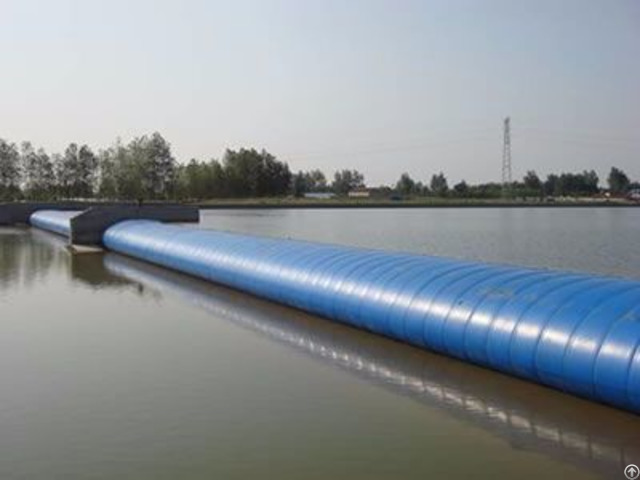 In dry seasons, the rubber dam is inflated by air to retain water for industrial, agricultural and living water demands; in rainy seasons, the air in the sealed bag can be deflated out to release floodwater from river course. Its cost is lower than water inflatable rubber dam and traditional dam. It can be installed in 3 to 15 days and be put into use soon. Medium will not freeze in winter. It is usually used for retain water, irrigation, control flood, power generation, etc. Material structure: one cloth two rubber, two clothes three rubber, three clothes four rubber, etc. Color: blue, black, red, gray, purple, etc. Double anchor (pillow-like dam and inclined dam). Air has huge compressibility, so air inflatable rubber dam will appear recess when crest overflow, and flow is concentrated, has strong scour strength for downstream river. Medium in air inflatable rubber dam is available easily, does not freeze in winter. Air inflatable rubber dam is requested with high tightness. Air inflatable rubber dam can be inflated or deflated quickly by air blower, and equipment can control the height of rubber dam casually. It has simple structure, perfect seismic performance, completely collapse capability and no water resistance. It can resistant to sharp objects, pieces of ice, stone and vibrations caused by river overflowing. It can easily adapt to potential differential settlement of the foundation. 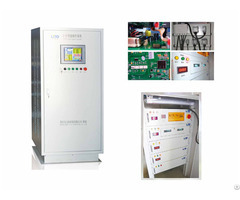 It is high volume /low pressure system, so high pressure compressors are not needed. Maximum overflow can higher 20% than rubber dam. The outer rubber layer has excellent weathering, aging, abrasion, sunlight, UV, heat and ozone resistance. The middle rubber layer is used for protection of canvas and for connection of two or more canvas with rubber layers. The inner layer is used for protection of canvas and has excellent watertight and airtight. The canvas has great flexural stress and adhesion function. Air inflatable rubber dam can be installed on any channel cross section shape, and can seal well, without leakage. Investment of air inflatable rubber dam is lower than water inflatable rubber dam. It has short construction time, installation only need 3 to 15 days. The service life span of air inflatable rubber dam is up to 15 years, and it is maintenance free, does not have moving parts and painting. Develop water entertainment and tourism. Posted By: Zaoqiang Dacheng Rubber Co., Ltd.
Business Description: Zaoqiang Dacheng Rubber Co., Ltd. is located in Northern industrial park, Hengshui, Hebei, China. We are one of the leading manufacturers in development, design, manufacturing and marketing of inflatable rubber dams all over the world. There are air inflatable rubber dam, water inflatable rubber dam and bookend rubber dam. We have several kinds of inflatable rubber dam: air inflatable rubber dam, water inflatable rubber dam, bookend rubber dam, shield type rubber dam and spoiler rubber dam. We also offer automatic control system and various accessories. The material structure could be one cloth two rubber, two clothes three rubber, three clothes four rubber, etc. The color of inflatable rubber dam could be black, blue, red, gray, purple, etc. Medium of inflatable rubber dam is air or water. According to installation method, inflatable rubber dam can be divided into single anchor rubber dam and double anchor rubber dam. Double anchor rubber dam includes pillow-like rubber dam and inclined rubber dam. 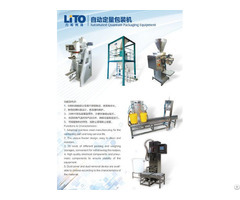 Our productions are mainly exported to Australasia, America, Europe, Africa, etc. Our customers usually are engineering contractors. We can send out the products in time, also can provide customers construction guidance. Our products are cost-effective which are popular among customers. 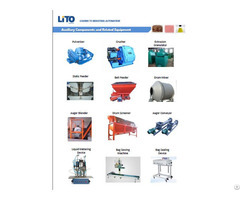 Our products are considered to economical, durable, quality and have gained great acknowledgments from our customers. The productions also have simple structure, perfect seismic performance. When the rubber dam collapses completely, it is no resistant to water. The dam can be resistant to corrosion, weathering, aging, abrasion, sunlight, UV, heat and ozone. If you are interested in any of our products, you can email us at sales@inflatabledam.com. Look forward to your inquiries and visit.